DENVER — Nikola Jokic overcame suffocating double teams to become the fourth player in NBA history to record a triple-double in his playoff debut and the first since LeBron James in 2006. 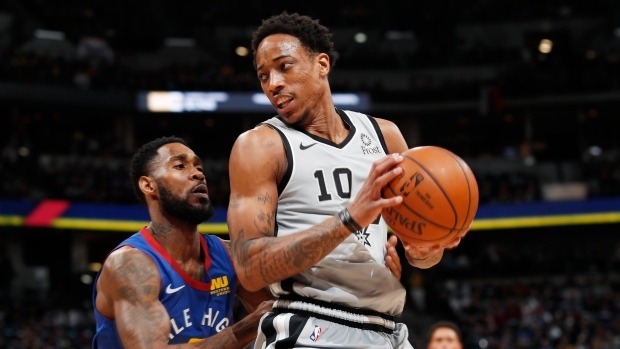 Jokic's accomplishment was rendered a footnote by LaMarcus Aldridge's suffocating defence, DeMar DeRozen's 18 points, Derrick White's clinching steal in the closing seconds and all those wide-open shots that just didn't fall for Denver. The Nuggets made just 42 per cent of their shots, 21 per cent from 3-point range, and missed eight free throws while failing to score a single fast-break basket.